This is a set of two Pro-Line Sling Shot SC 2.2"/3.0" Tires, in M2 (Medium) Compound, that have been Pre-Mounted on Black Renegade Wheels. 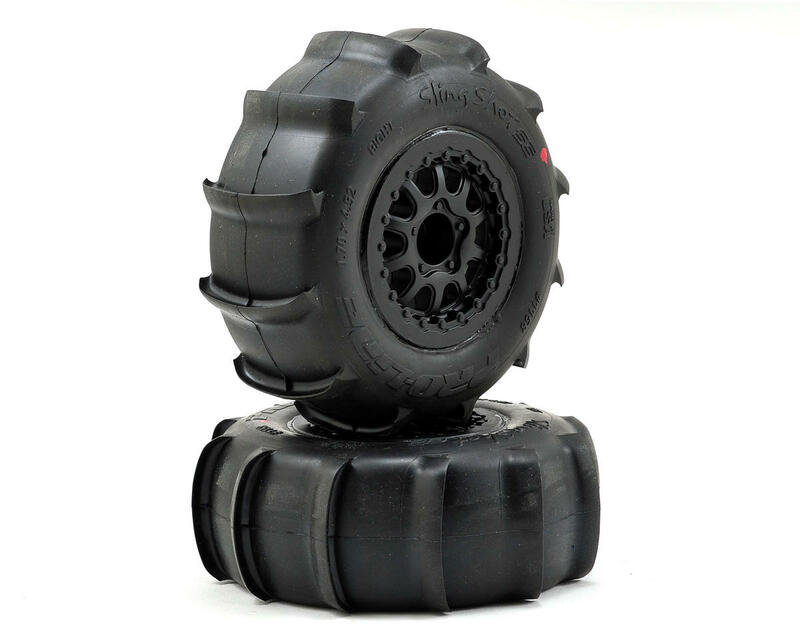 These wheels are intended for use on the rear of the Traxxas Slash, but can also be used on the front and rear of the Slash 4x4, OFNA Jammin SCRT-10, Hyper 10-SC and HPI Blitz. Turn your Short Course Truck into a Sand and Snow slinging super truck with Pro-Line's Sling Shot SC tires. With 10 monster grabbing ¼” tall paddles, sand and snow are no longer off-limits. 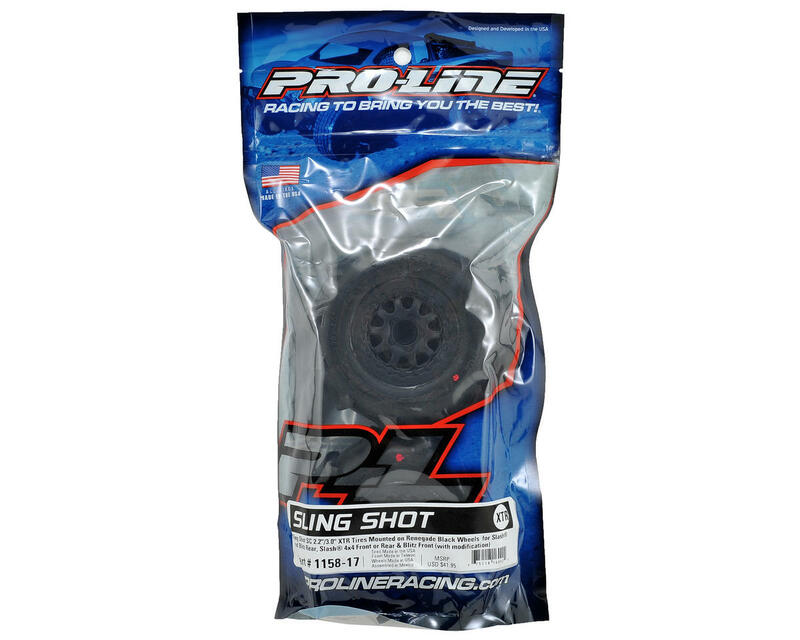 Stop sliding around in the sand or snow and start shooting a Rooster Tail with Pro-Line’s Sling Shot SC tires. The Sling Shot SC tires are mounted on Renegade Black wheels. Radical, revolutionary maybe even a bit of an outlaw, that is what a Renegade is all about and it defines the new SC wheels from Pro-Line to a "T". That's right, the design department at Pro-Line thought it was time to change it up and bring to life another bold looking SC wheel. The Pro-Line Renegade wheel for SC trucks features a tough 10 spoke design replicating the latest in high performance full size forged racing wheels used by the pros. Detailed beadloc and lug nut hardware only adds to the realism.